These Songs often discuss religion. However, there is not much discussion of the other untouchable topic, namely politics. This song, and Song 404 – Welcome to Today, present some of my views on political hot topics. Some might choose to be offended by these words. It is not my intention to be offensive. Remember, it is a choice to be offended. One strategy is to simply skip these songs, especially if you are into agenda driven science, like Al Gore’s climate change theories, or socialism, and especially communism. 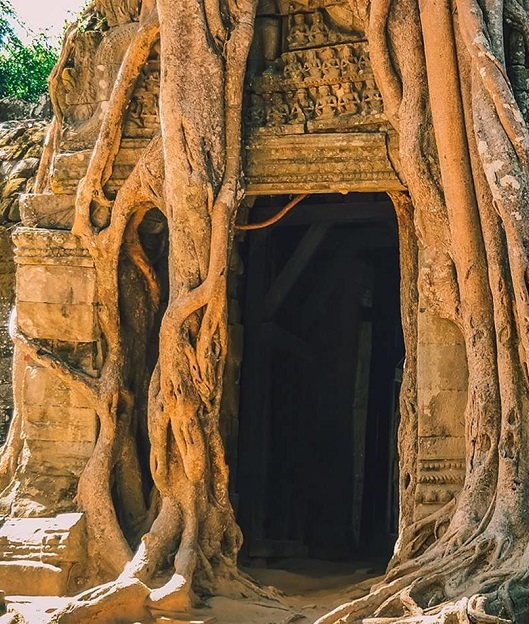 In Song 404, I wrote “Go back in history, recall each story, Communism, for instance, workers lives would enhance, Look at the fruits, dictator’s boots, Millions killed, in Russia, China, and Cambodia.” To stress my thoughts about teachers, the image is of tree roots in Cambodia. What are the roots your teacher is drawing from? If the roots are a desire for power ad control, there are likely serious issues with the lessons. 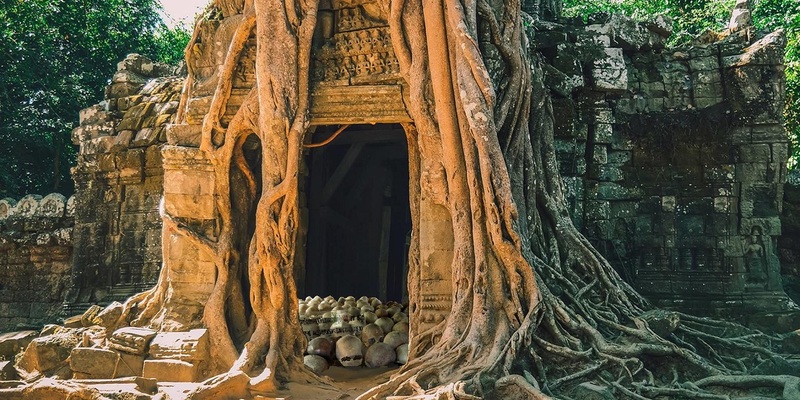 The expanded image is edited with skulls from the Cambodia killing fields added in the room underneath the roots. The song talks about agenda driven science, and focuses on absurd climate change theories. When Al Gore made his famous movie, “An Inconvenient Truth,” in 2007, he said sea levels would rise over 6 meters in 10 years, i.e. by 2017. The inconvenient truth is sea levels have continued to rise about 3 mm per year. At this rate, the 6 meters sea level rise will happen in 200 years. Even the most pessimistic predictions show 2 meters sea level rise by 2100. So I wrote about how the Egyptians created the Sahara Desert and created climate change. Deaths in Cambodia were miniscule compared to deaths of viable human beings through abortion. I am impressed how Hillary Clinton stuck by her husband. I am terrified by the power and control reasons behind her decision to do so. So what is my suggested solution. Comes back to religion: “There is a safe answer, We have known from our youth, Turn to Jesus, for he truly knows, When we’ve been mislead or, Bought into the advisory’s lies. Call on Jesus, and he will forgive us, When we repent and come to him. Trust in Jesus, and find happiness.” Avoid the bad, and seek the good teachers.